NEWARK, New Jersey (WABC) -- Authorities in New Jersey say a man who allegedly opened fire on a home had just weeks earlier been released with a monitoring bracelet under the state's new bail reform law. Police initially arrested 24-year-old Joseph Brown, of Irvington, on charges of narcotics and unlawful gun possessions on January 2. Brown was released from jail and required to wear a monitoring bracelet on January 10. 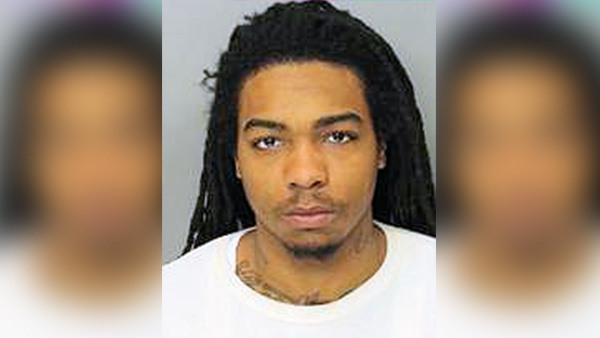 Officers arrested him on March 5 in connection with a shooting at a home in Newark on March 2. They reportedly attempted to pull over Brown, who police say was driving a red jeep that matched the description of the car seen fleeing the scene of the shooting. The red jeep crashed into two parked cars after a brief chase, according to police, and brown was apprehended after attempting to flee on foot. Newark Public Safety Director Anthony Ambrose says the state needs to re-examine bail reform. "Bail reform should be re-examined," he said. "Brown is another example of a released suspect who posed a public safety threat to the residents of Newark." Brown is charged with aggravated assault, unlawful possession of a weapon, resisting arrest and eluding.